It can be confusing to know where to turn when you find a fungus infestation in your home, but rest assured that by contacting the mold removal Marietta team at 911 Restoration of Atlanta they will handle everything. 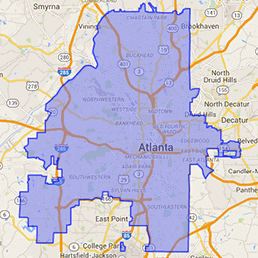 Our phone lines are open around the clock, making our service agents available 24/7/365 to schedule you an appointment with our mold removal Marietta technicians. Once we arrive on the scene we will provide you with a free visual mold inspection where we will check your entire home from mold, fungus and mildew growth. Even though mold is not necessarily considered an emergency situation, we always act quickly when it comes to mitigated the substance from your property. Our IICRC certified mold removal Marietta techs will do whatever it takes to make sure your home is completely free of fungus, so call us today! Our mold removal Marietta team is trained in the the most comprehensive mold and fungus cleanup procedures, which is why we are able to get your home so thoroughly sanitized. 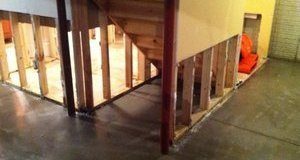 In order to minimize you risk of exposure to this potentially harmful substance, we want homeowners to stay away from the infested part of the home until our mold removal Marietta staff arrives. Call us as soon as you need properly implemented fungus cleanup done the right way and we will begin eradication procedures today. We know how to safely handle mold and fungus, and always wear the proper gear when eradicating the substance from the home. If for some reason it is absolutely necessary to touch the mold, make sure to wear gloves, goggles and a face mask. 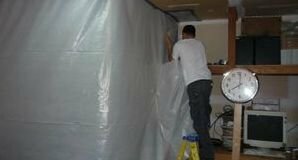 Our mold removal Marietta technicians will use vacuums, air filters, air purifiers and vapor barriers to get every trace of fungus cleared from the property. Keeping you safe throughout this entire ordeal is what we consider to be part of our customer service plan. We take your health and wellbeing seriously, and will go the extra mile to prove that to you. Along with keeping you protected, we will also assist you with figuring out the other aspects of the job, including the finances. Most homeowner’s insurance policies do not cover mold as part of their standard plan, which is why we make such an effort to offer affordably priced services to all of our customers. 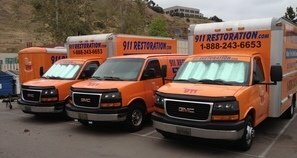 Call our mold removal Marietta agents at 911 Restoration of Atlanta and we will get you back on track to a mold free home today.